You may remember my post here where I got a little silly and shared a Sam's Club shopping experience with my favorite guys (Tman and Cohen). 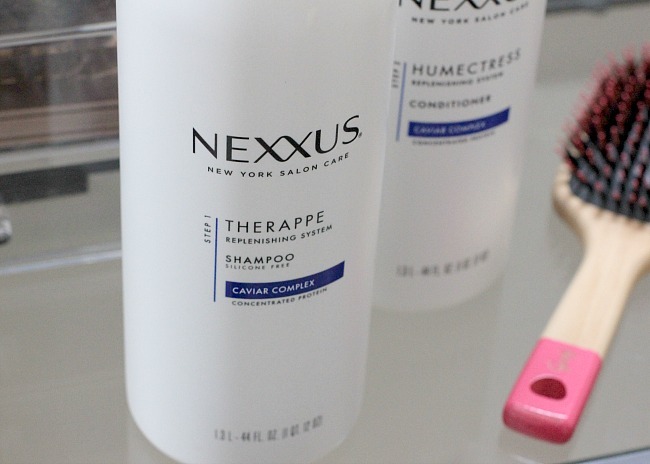 I shared one of my favorite premium pick ups from Sam's Club and that is the NEXXUS Shampoo and Conditioner. You can grab these products in large (AKA family size) bottles near the pharmacy aisle and I love the fact that I can stock up on my favorite products while also stocking my pantry which allows me to eliminate extra stops and multiple stores. Three cheers for efficiency - hip hip hooray! hip hip hooray! hip hip hooray! Additionally Sam's Club has made it easier than ever to do your shopping. Sam's Club started the new Scan & Go program where you can download the Scan & Go app on your phone and scan products and pay while you are shopping. Simply scan each item as you drop it in your cart. Your card is on file and will be charged accordingly. Skip the hassle of lines or checkout and show your Scan & Go receipt as you leave. OR if you are a fan of the pre-order you can order your items through the app and pick them up at the store eliminating the need to even enter. The last brilliant thing they have done is the Sam's Club Subscription Program. Sign up with the items you use regularly and they will be automatically shipped to your doorstep at your requested intervals of time. 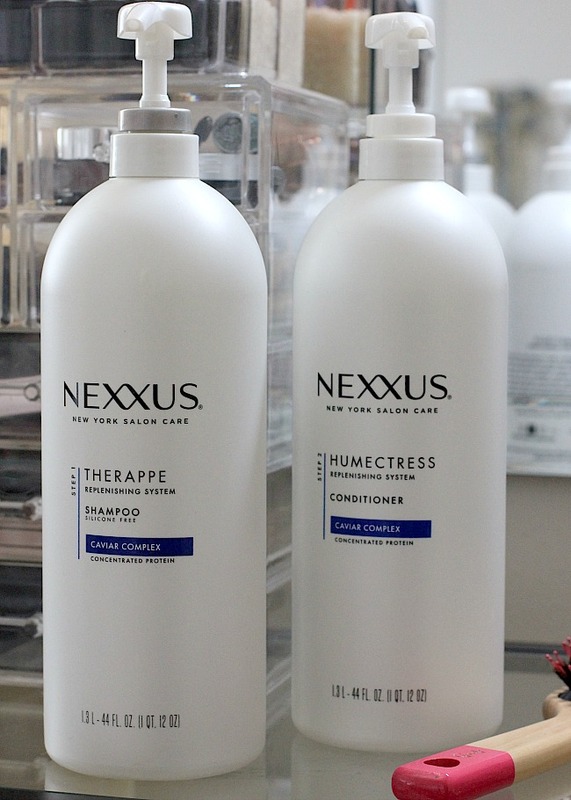 We go through these extra large NEXXUS Shampoo and Conditioners roughly every two months. With the subscription program I don't have to worry about ever running out. Phew! 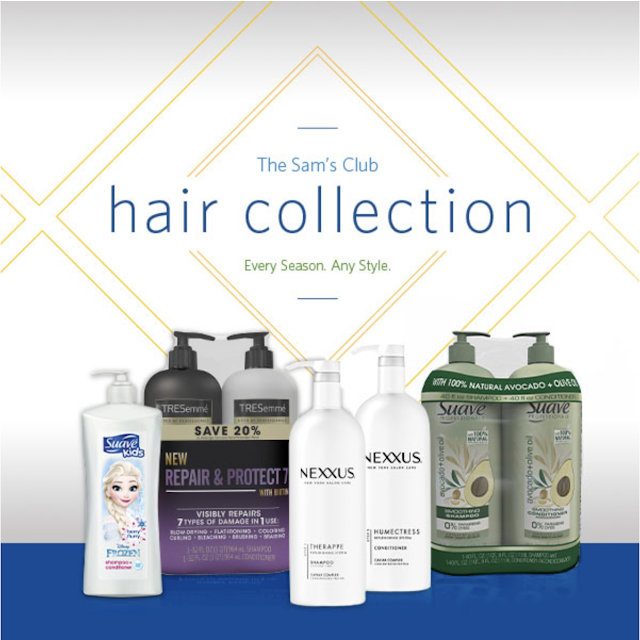 Now that I have raved about how easy it is to shop your favorite beauty products from Sam's Club, let's talk about how great these products actually are. 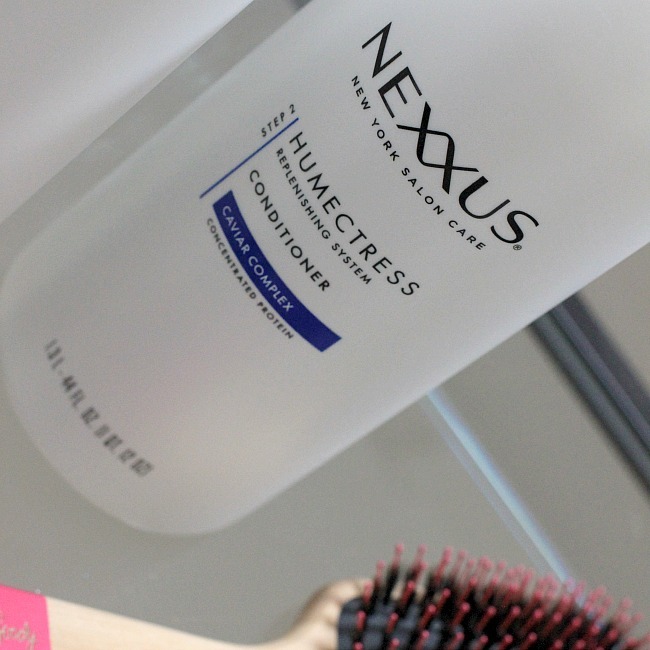 The NEXXUS Therappe and Humectress not only replenish hair fiber but they also restore moisture leaving your hair smooth and frizz free. These rehydrating essential nutrients help your hair to retain its natural movement and restores flexibility to those of us who may be suffering from dry or brittle hair. Obviously all good reasons it is my go-to, right?! Get more information on products, Scan & Go, Store Pick-up and more by click the image above.